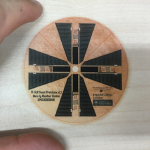 An exciting new class of flight hardware has emerged allowing very low cost science, educational and commercial activities with large redundant arrays of inexpensive and disposable (RAID) thin-film, printed circuit board and CubeSat spacecraft. Relying on efficient energy harvesting, these systems are very resource constrained, and require self optimizing algorithms to optimally manage low power peer-to-peer communications and to maximize the amount of data captured and reliably returned by sensors hosted by these spacecraft swarms. We investigate applying and extending techniques we developed for low power meshes of terrestrial wireless sensor networks, reducing the power required to perform peer-to-peer spacecraft and peer-to-planet transfers, extending range while remaining within existing power budgets, increasing and prioritizing sensing bit rates, and achieving reliable data collection from swarms of individually unreliable spacecraft. We are developing a one gram thin-film weather station suitable for collecting precision temperature, pressure and humidity data on earth, Mars and other bodies. An orbiting CubeSat locates the weather stations and forwards this information along with their beaconed meteorological data to a data warehouse on earth. These devices support continuous hourly collection of scientific data with the ability to increase their measurement cadence to once per second or faster when attempting to characterise dust devils and near-surface turbulence. The microlanders with their minimal instrument set (including pressure, temperature and humidity sensors) are designed to be distributed spatially as widely as possible on the body of interest with data returned to earth via existing CCSDS compatible infrastructure. 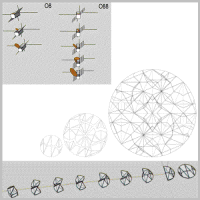 We in collaboration with colleagues in aeronautics have combined parametric subsystem generators with techniques developed for very lightweight adaptive aeronautics structures to create steerable deployable multifunctional small satellite subsystems with substantially better performance than current solutions. These subsystems can provide up to 32x increase in current capabilities, simultaneously integrating multiple functions while maintaining compatibility with standard small satellite interfaces. Applications include a deployable thin film solar array for 0.5U or larger CubeSats capable of generating up to 128 W that stows in the same volume as a traditional 4 W array, a 64 cm diameter reflectarray antenna for high speed or long distance S-band communications, and an aerodynamic drag deorbit device to satisfy international end of life deorbit / space debris regulations. The system is also applicable for high area to mass ratio instruments (e.g. magnetometer arrays), attitude control (e.g. magnetorquers), propulsion (e.g. solar sails) and large free flying thin-film spacecraft. How can we optimise a network of manufacturing and sensor devices to collect scientifically relevant data at scales spanning hundreds of millions of kilometers and tens of years? 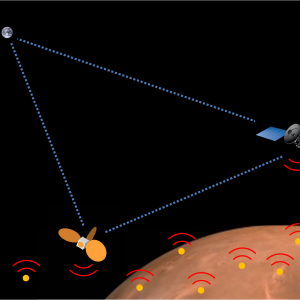 Spacecraft-on-Demand are very widely dispersed unreliable wireless sensor nodes with instantaneous mortality that can optimise the network of devices including informing the manufacturing devices that there is a need for replacement or augmentation. Optimisation strategies address hardware manufacture (including location and dispatch), and also their software, communications strategy and spatiotemporal configuration, during the data collection process, adapting to a changing list of prioritised targets. 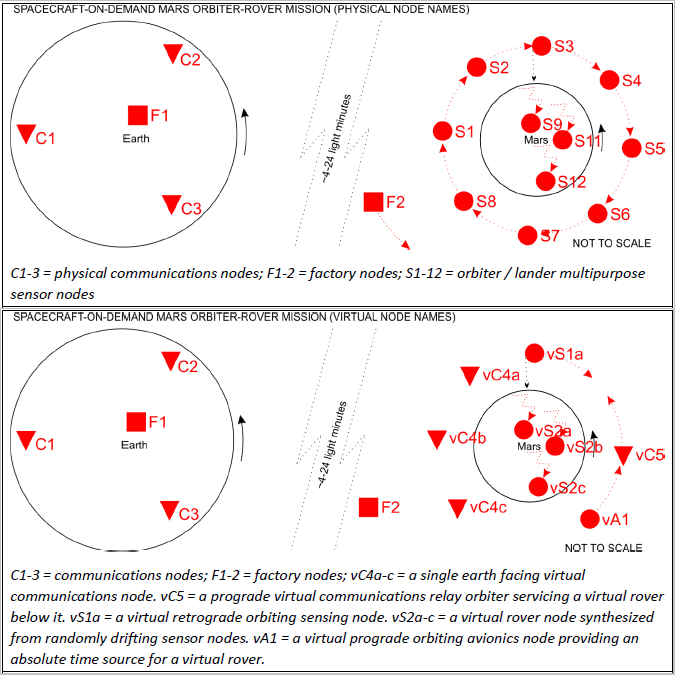 Spacecraft-on-Demand looks at the self-adaptive scheduling aspects of configuring virtual nodes as well as implementing physical hardware permitting in-situ manufacturing of devices using a combination of preconfigured materials cartridges and resources harvested in-situ. We believe that space exploration is a civilian activity that should be open to all and place our flight projects in the public domain. 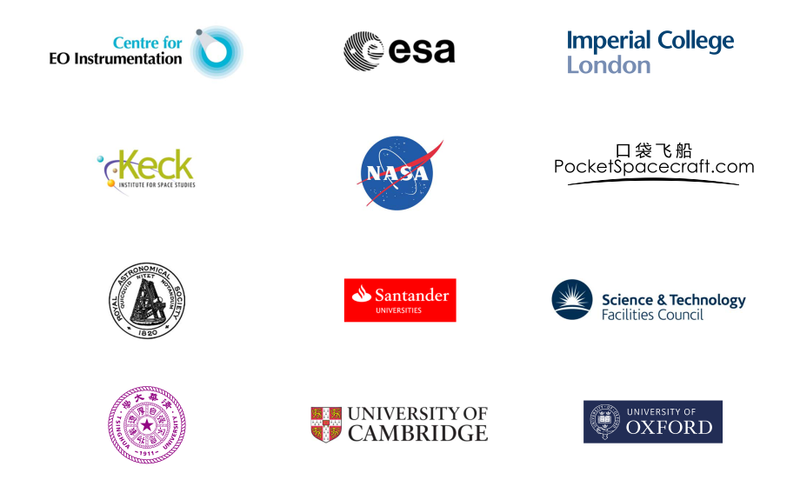 We are a Radio Society of Great Britain examination centre and are happy to run radio license exams for satellite projects as well as sharing our ground stations and other infrastructure in support of educational and scientific space missions. As well as releasing flight hardware schematics, printed circuit boards, firmware and software, mechanical, design documentation and bill of materials files, we are happy to share our documentation and experiences obtaining export, spacecraft, telecommunications and the other licenses and paperwork required to get flight projects from lab to launchpad to orbit.